Parking at the N.C. Governor’s Inaugural Ball will require a pass which will arrive with your event tickets. 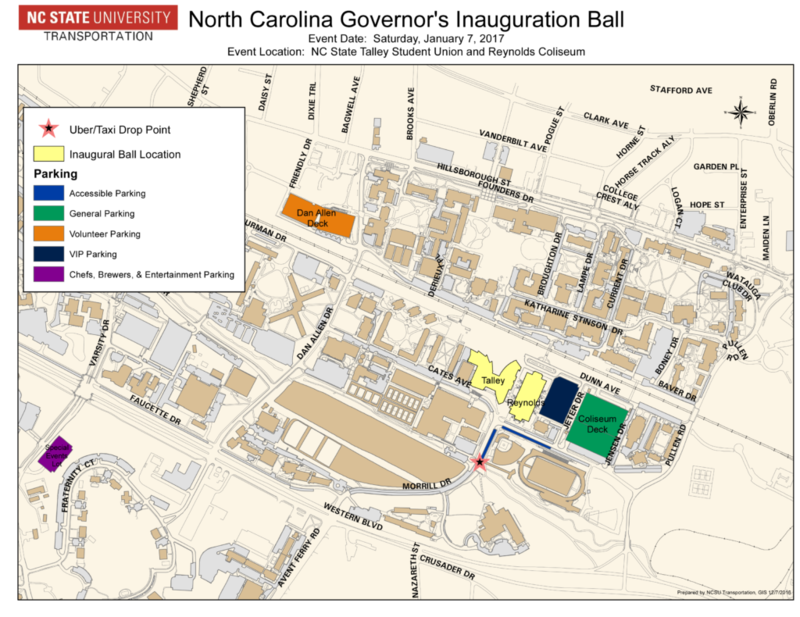 Handicap-accessible parking spaces will be available on Morrill Drive and Cates Avenue, alongside the baseball stadium. Please bring your regular handicap placard in order to park in these spaces.